The insider advice on this page is from Wendy’s Trusted Travel Expert for Nepal: Antonia Neubauer of Myths and Mountains. 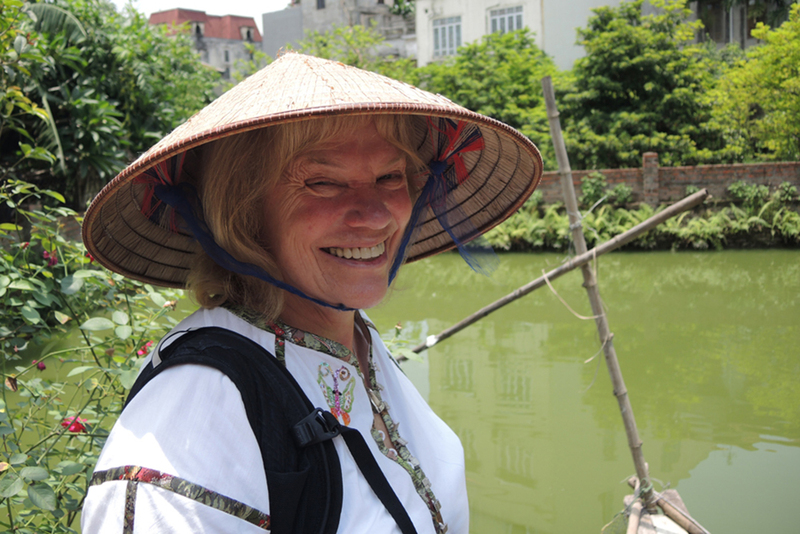 Founder of the award-winning travel company Myths and Mountains, Antonia “Toni” Neubauer has spent the past 30 years exploring Asia, focusing on the people, culture, crafts, religions, and natural environments of the places she visits, and forging and cementing close relationships with communities there. Her vast network of loyal friends and experts on the ground means you get a warm welcome as well as unique, meaningful experiences far from where other tourists go. Whether you want to plan a Burmese wedding, learn how to make a mandala or practice archery in Bhutan, meet the shoemaker who makes the only custom shoes for the disabled in Myanmar, or chat with the parents of a Kumari (a “living goddess”) in Nepal, you’re guaranteed an imaginative and immersive experience. Toni is dedicated to making a positive contribution to the countries in which Myths and Mountains operates; as of fall 2017, READ Global, the renowned nonprofit she founded, has built 100 libraries in Nepal, Bhutan, and India. 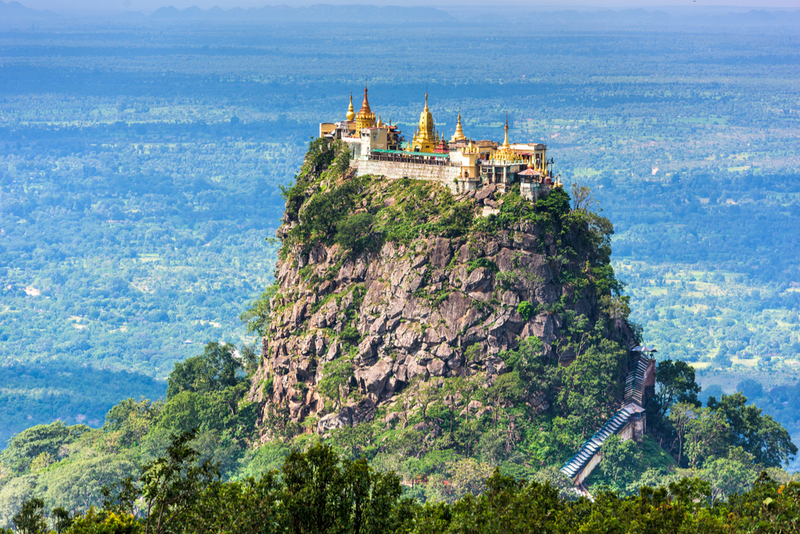 Trip prices per day for two travelers start at $350 in Nepal, $750 in Bhutan, and $840 in Myanmar. 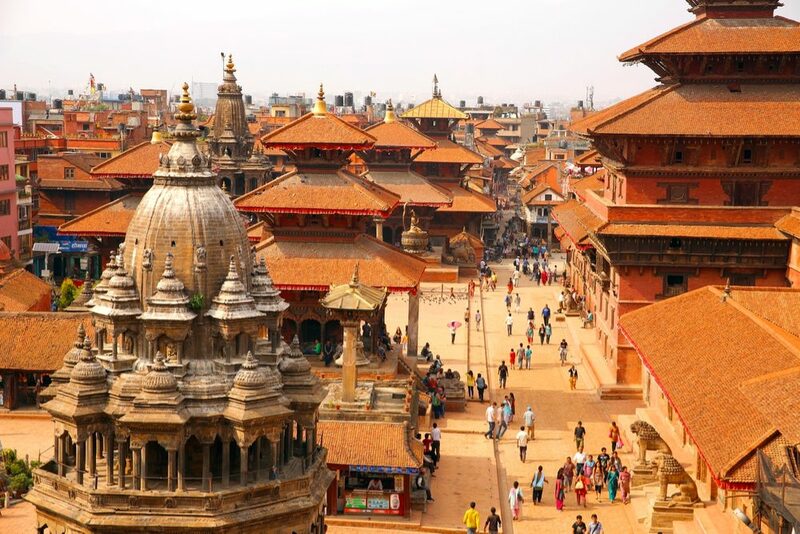 The Kathmandu Valley consists of three major cities—Kathmandu, Patan, and Bhaktapur—as well as some smaller towns. A number of boutique hotels have cropped up in the city of Patan, right off Dhurbar Square. One of my favorites is The Inn in Patan, an old traditional brick-and-timber Newari house. The Inn has ten rooms, each beautifully furnished, surrounding a lovely private courtyard. Staying here provides an opportunity to really get inside the local life of Patan and enjoy being part of this city of artists. Nearby is another small boutique hotel, Newa Chen, again a restored traditional Newari home. Within a restored Rana heritage complex in Kathmandu—Baber Mahal Revisited—is a spectacular new, family-run 13-room boutique hotel, Baber Mahal Vilas. The rooms are exquisitely decorated, there is a good spa and restaurant, and the location is near some of Kathmandu’s finest stores and restaurants. Although there are fancier hotels, I keep returning to the Yak and Yeti in Kathmandu. Location, location, location! The hotel is just off a main shopping street and down a small side street lined with shops and money changers. It’s an island of peace with a tranquil garden, a small pond, and a very proud group of ducks. There is a well-kept pool and spa, and many of the rooms have recently been renovated. From the hotel, you can walk to the tourist area of Thamel and some excellent restaurants. We can certainly help with upgrades and make sure rooms are facing the gardens. For a charming stay off the main road to Pokhara in the restored village of Bandipur, try The Old Inn. The rooms are charming, the views (in good weather) of the Annapurna range are excellent, and the food is good. Another interesting village to visit is Gorkha, birthplace of the former Shah dynasty, and home to a very special temple to the Goddess Kali and an interesting historical museum. There is a wonderful new small hotel just outside of town, Gorkha Gaun, with amazing mountain views, excellent hiking terrain, and comfortable rooms and beds. This is just the place for someone who likes day walks and wants to be in the mountains. If you’re looking for a resort and spa in the hills outside Kathmandu, try Dwarikas Resort, a holistic lifestyle retreat with yoga, pottery classes, ayurvedics, and excellent food and views. For jungle enthusiasts, there are two excellent hotels in the Meghauli area of Chitwan: Taj’s new Meghauli Serai and the Barahi Jungle Lodge. Located on the banks of the Rapti River and away from the heavily touristed Sauraha area, these lodges’ strengths include excellent naturalists, delicious food, ties to the Tharu communities in the area, and a variety of interesting jungle activities. Kathmandu’s Chez Caroline—a French restaurant located in the renovated Barbar Mahal Revisited heritage complex—is a local favorite and a personal favorite, too. Owned by Caroline Sengupta, a Frenchwoman who came to Kathmandu many years ago and made it her home, Chez Caroline serves food prepared from organically raised or grown ingredients. Appetizers and dinners are excellent, and there is a good choice of French wines to accompany dinner. Salads are wonderfully creative, but my love is dessert. Don’t leave without trying the gâteau coulant—with whipped cream—a delicious chocolate cake with a center that just oozes bittersweet chocolate. Near the Patan Museum is the small Yala Mandala Cafe, a good place to stop for lunch and, for those who wish, shop for some high-class arts and crafts by skilled local artisans. Dudh Kund (Sacred Milk Lake), Nepal. Photo courtesy Antonia Neubauer. 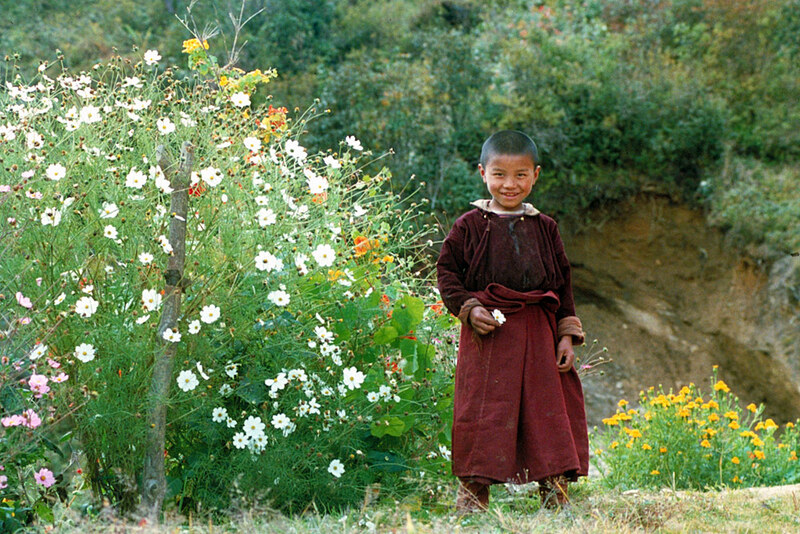 Dear to my heart is the Solu area of Nepal—the lower Everest region below the airport town of Lukla. 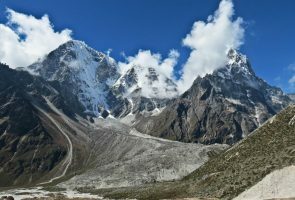 As of now, you’ll still find wonderful hiking routes not bisected by roads; places where you still need to camp in tents with a staff of porters and cooks; far fewer tourists than elsewhere in the country; a vibrant Buddhist culture; and striking views of Shorung Yu La, Kanteiga, Everest, and other sky-touching peaks. One of my favorite destinations in this region is Dudh Kund, a turquoise-blue lake sacred to both Buddhists and Hindus, and a favorite pilgrimage spot for Jhankris, or Nepalese shamans. Hiking to Everest Base Camp is overrated. Trekking the additional route from base camp to Kala Pattar at about 18,514 feet, with its 360-degree view of the surrounding mountains—Everest, Pumori, Cho Oyu, and others—is definitely worth the effort. 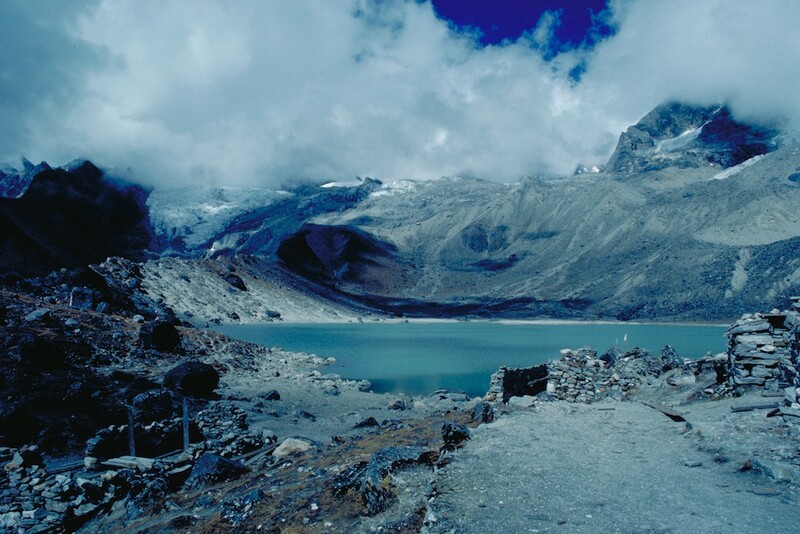 Base Camp itself, however, is lower, about 17,598 feet, and views of Everest are not as dramatic. If you want to see where climbers begin their summit attempt and tell people you’ve been there, that’s fine, but the place is not as striking as Kala Pattar. 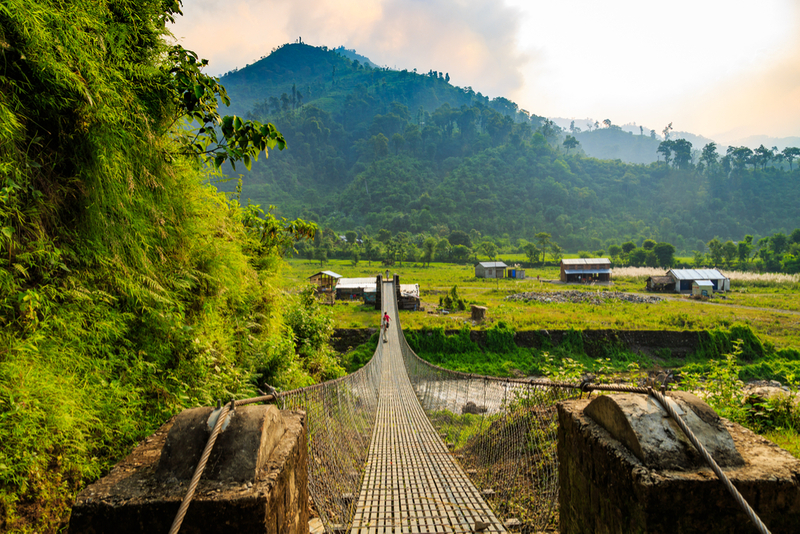 About two hours from Kathmandu is the fascinating town of Gorkha. The Magars, who live here, are famous as soldiers, some as members of the Gurkha Army and others as members of the Nepali Army. Legend has it that a very famous saint, Goraknath, appeared in Gorkha, and there is a cave nearby with markings said to be his feet. 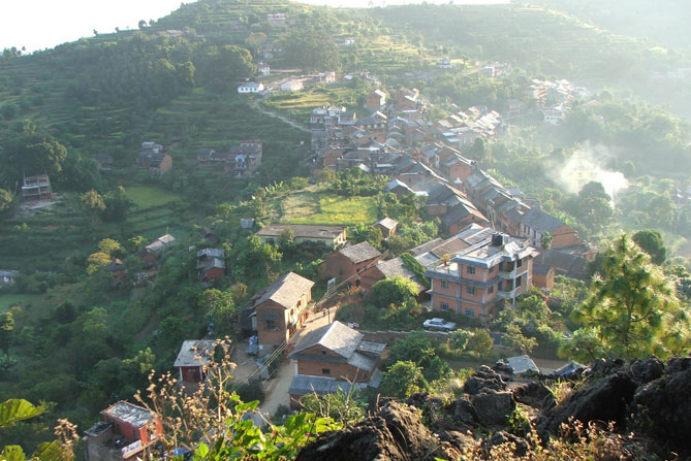 The town of Gorkha was built on the spot where the saint first appeared. The ruling dynasty in Gorkha in the 1700s were the Shahs, and it was from here that Prithvi Narayan Shah and the Gorkhalis swept down to conquer the Kathmandu Valley in 1769 and, from there, unite Nepal. The town boasts a very important temple, palace, interesting historical museum, and busy market. There are also excellent views of Langtang and the Annapurna Massif. You can do wonderful day hikes in the area, or just sit and stare at the mountains. Stay at Gorkha Gaun (see Best bang-for-your-buck hotels, above). Paragliding in Pokhara is one of my favorite activities, particularly on a good day. To leap off the hill and float through the air over Phewa Tal Lake, with incredible views of the Annapurna range staring down at you, just can’t be beat! My family and I fly with Team 5 Nepal Paragliding, the first paragliding company owned by pilots. Annapurna sunrise. Photo Courtesy Toni Neubauer. Nepal, like Bhutan, is the same latitude as Florida, but it rises from the Terai, at about 100 feet above sea level, to Mount Everest, at 29,029 feet, in less than 100 miles. The best time to go often depends on what you want to do and where you want to go. Spring and fall are the driest seasons and generally provide the best weather for trekking, biking, and touring. In spring, the hills are covered with rhododendrons and magnolias, and in fall, the air is crisp and clear, without the pre-monsoon dust. Food is plentiful as the harvests are in. Mountain views are best in fall. Winter months are good for visiting the Terai, jungle areas, and other lower-elevation towns, including the lake town of Pokhara. Summer, although not the optimal time for most of Nepal, is a great season to visit Upper Mustang, as it is located across the Himalayas on the Tibetan Plateau. Flowers are out, there are festivals, and it is just beautiful. 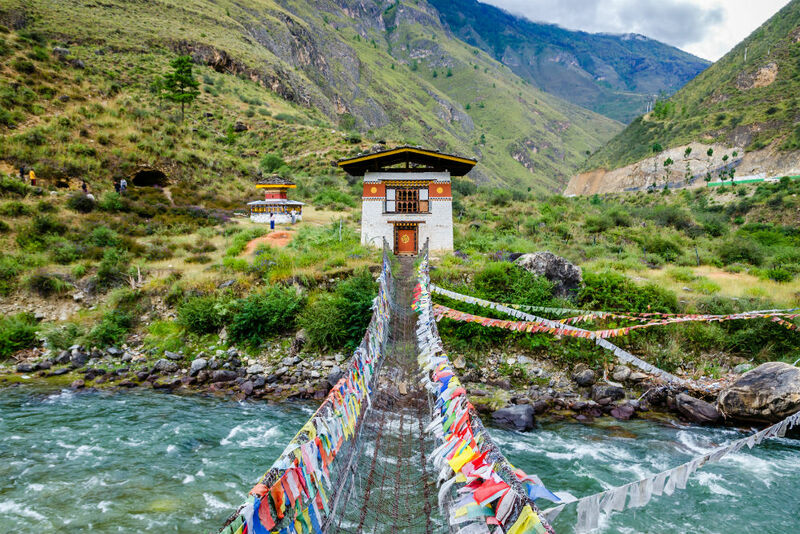 Early summer is often a good time to head to Dolpo in the far west, as the rains come later—in August and September—than in the rest of Nepal. Except for Mustang and perhaps Dolpo, the summer months of July, August, and September are the worst. For trekkers, the paths are muddy and slippery and filled with leeches hiding in wait to pounce on their next dinner. On the other hand, there are few tourists! Thinking Nepal is only for the trekker. With the flurry of road-building that is happening around the country, remote villages and Himalayan holy places that never saw cars are now open to a wider range of visitors. Cars and buses even ramble up the back end of the Annapurna trail to pilgrimage sites 12,000 feet high in Muktinath; you can drive from Kathmandu up to Saleri and then on to Junbesi, a Sherpa village along the way to Mt. Everest with a school built by Sir Edmund Hillary. So if you don’t like hiking boots, trade them in for walking shoes and hop a car. Never give candies, pencils, or money to children who ask, no matter how charming they are or what story they tell. Tourists create beggars, so this is an absolute no-no. If you are not staying in a guesthouse and have a whole crew, you will need to put aside enough money for the porters, cooks, trail boys, and the crew leader. If you’re staying in lodges, you’ll likely have only your guide and possibly a porter to tip. Here are a few tipping suggestions, but know that amounts are extremely subjective. Generally, for guides, whether trekking or touring, we recommend $10–$15 per person per day and $8–$10 for drivers. If there is a cook on the trek, we suggest $10–$12 per person per day; $5–$8 for trail boys and porters. When dining in restaurants, most places include a service charge, so any additional tipping is optional. Often, if the service has been good, I will hand the waiter some extra rupees just to say thank you. The airport can get a bit hectic. 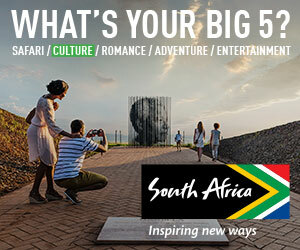 It’s hard to say if getting your visa in advance or on arrival is better, as you never know which line will be longer. If you do get your visa on arrival, fill out the application before you land in Nepal, as doing it in the airport is complicated and rushed. Extra batteries are a must. Yes, you can get them in Nepal, but one does not know how old they are. If you use rechargeable batteries, bring several, as you never know about electricity and power outages. Extra passport photos: You’ll need them for visas and for trekking permits. Bring at least four. Let us arrange a private interview with the Kumari—a young virgin goddess—and her family; a cooking class with locals; a special celebration, such as a wedding; or a dinner at a private home with key figures in the arts, education, medicine, or other segments of Nepali society. Our extraordinary connection and bond with Nepal allows us to do this and more. A singing bowl (a type of bell) from the craftsman behind the Golden Temple in Patan, who is one of the best bowl makers in Nepal. These bowls can be used for healing, meditation, and decoration, and he will show you how to use them—even conducting a bowl healing session in your hotel.